This charming three bedroom villa is situated in a picturesque location, with beautiful views of the surrounding mountains and the village of Cabris. The holiday home boasts a lovely. 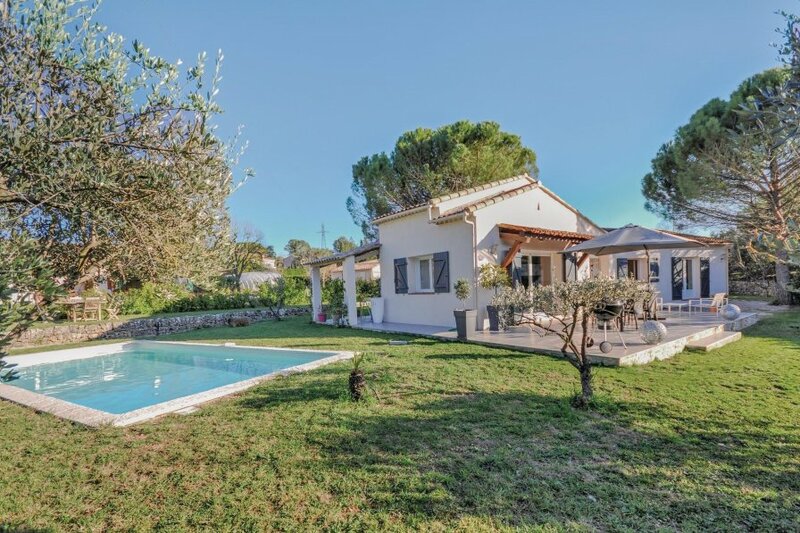 This charming three bedroom villa is situated in a picturesque location, with beautiful views of the surrounding mountains and the village of Cabris. The holiday home boasts a lovely, private swimming pool and a cosy terrace area, which is shaded by mulberry tree. The terrace is adorned with garden furniture and barbecue facilities, which ensures that it is the perfect spot for relaxing evenings with friends or family. The villa is spread across one level and features a stylish and contemporary decor. 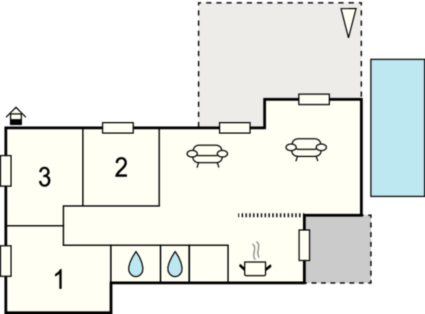 You wil benefit from a spacious open-plan kitchen and living area, three bedrooms and two bathrooms. The holiday home is ideally situated, just 6km from Grasse, the perfume capital of the world, and just 21km from the vibrant city of Cannes. For some delicious local cuisine, head to Mougins, 15km away, or explore some of the local Provençal farmers markets. For swimming, Lake Saint Cassian (20km away) offers a great choice of watersports, as well as a sandy beach. Whatever you choose, you'll be spoilt for choice in this beautiful region! This solidly constructed villa was originally built in 1975 and refurbished in 2016. The agent has rated it as a four star property so it is a well-equipped villa with above average furnishings. It is also great value for money. This villa has a private pool and mountain view; it is also located in Peymeinade Est, only 4km from Grasse. It is set in a good location: there is a restaurant only 800 metres away.